This Symposium explores emerging trends and novel ideas and concepts in the area of VLSI. The Symposium covers a range of topics: from VLSI circuits, systems and design methods to system level design and system-on-chip issues, to bringing VLSI experience to new areas and technologies. Future design methodologies as well as new CAD tools to support them will also be the key topics. 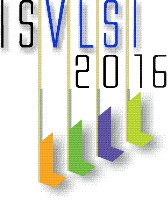 ISVLSI 2016 highlights a special theme of cyber-physical system. Over almost two decades the Symposium has been a unique forum promoting multidisciplinary research and new visionary approaches in the area of VLSI. The Symposium is bringing together leading scientists and researchers from academia and industry. The papers from this symposium have been published as the special issue to top archival journals. This fact indicates a very high quality of the symposium papers, and we are determined to keep a strong emphasis on this critical aspect of any conference. The symposium proceedings are published by IEEE-CS conference publication services (CPS). The Symposium has established a reputation in bringing well-known international scientists as invited speakers, and this trend will continue. Bio: Elias Fallon has been involved in the automation of analog circuit layout for more than 18 years, starting as one of the original employees of Neolinear, Inc. As one of the primary authors of NeoCell, a product to automate the placement and routing of analog circuits and macros, he co-developed several patented innovations. Since Neolinear’s acquisition by Cadence in 2004, he has managed Virtuoso layout R&D teams focused on Analog Placement, Modgens, and other layout automation tools, as well as continuing innovative development for custom and analog layout methodologies. 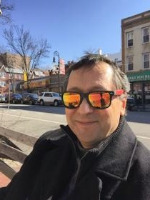 Beyond his work developing electronic design automation tools, he has led software quality improvement initiatives within Cadence, partnering with the Carnegie Mellon Software Engineering Institute. He is currently the Engineering Group Director leading the R&D teams responsible for the Virtuoso automated placement and routing product lines. Elias graduated from Carnegie Mellon University with an M.S. and B.S. in Electrical and Computer Engineering. Bio: Since Nov 2014, Sean serves as chief scientist for sensing solution lab, and lead the innovation for next generation of internet of things and smart phone in Huawei corporate RD team. Prior Huawei, Sean worked in sensing and control industry 15 years in silicon valley, including STMicro, Bosch sensortec, both are world top 3 sensor companies in the world. Sean also worked for Intel as principal engineer on artificial intelligence, activity recognition, and context awareness. 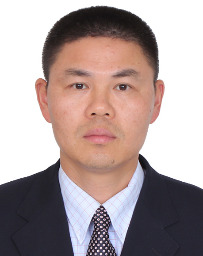 He possesses in depth knowledge in sensing system, including physical design of MEMS and sensor, circuitry, algorithm optimization, system implementation. 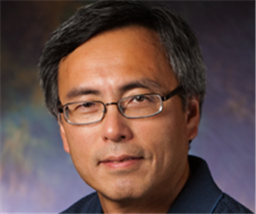 Bio: Martin D. F. Wong is the Executive Associate Dean of the College of Engineering in the University of Illinois at Urbana-Champaign (UIUC). He is also the Edward C. Jordan Professor of Electrical and Computer Engineering. He received his Ph.D. in computer science from UIUC in 1987. Prof. Wong is internationally known for his research on computer-aided design (CAD) methods for very-large-scale integrated circuits. He has published over 450 technical papers and graduated more than 46 Ph.D. students. He is a Fellow of IEEE. Bio: Charles Shelton is a Senior Research Engineer at the Bosch Research and Technology Center (RTC) in Pittsburgh, PA. He is currently leading the Bosch RTC Smart Campus project. The Smart Campus project focuses on developing IoT platforms and applications for smart infrastructure and intelligent buildings. He has worked on several research projects over the years in the areas of software architecture, distributed systems, and designing graceful degradation and dependability into embedded systems for automotive electronics and building security systems. Most recently he has worked on developing software infrastructures for Internet-connected wireless sensor networks. He earned his PhD in Computer Engineering from Carnegie Mellon University (CMU) in 2003.